Get the best out of your pasture this season. At Farm Source we build on many seasons of knowledge and understand that all the elements on farm are working hard at this time of year. We also understand how important the right pasture renewal programme is for driving productivity on farm. Whether you are renewing pastures post crop or improving existing pastures, we can help. We have over 60 Technical Sales Reps across the country dedicated to being trusted advisors for the farmers they work with. Many of our Farm Source TSRs have extensive farming backgrounds and all of them are passionate about helping farmers thrive. Our TSRs are out on-farm all year round talking with specialists, industry organisations and contractors in the field. 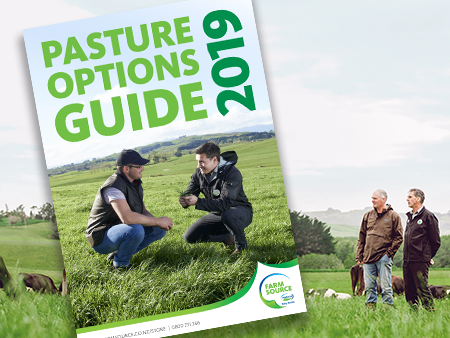 They regularly receive information about the best pasture solutions for your area which take into account climate, soil type and the DairyNZ Forage Value Index. Contact your local TSR today to see how they can help you plan a pasture renewal programme that best meets your farming needs. Earn 15 Bonus Reward Dollars when you spend $500 on an extensive range of pasture seed and selected ag-chem products between 1 February and 30 April 2019. 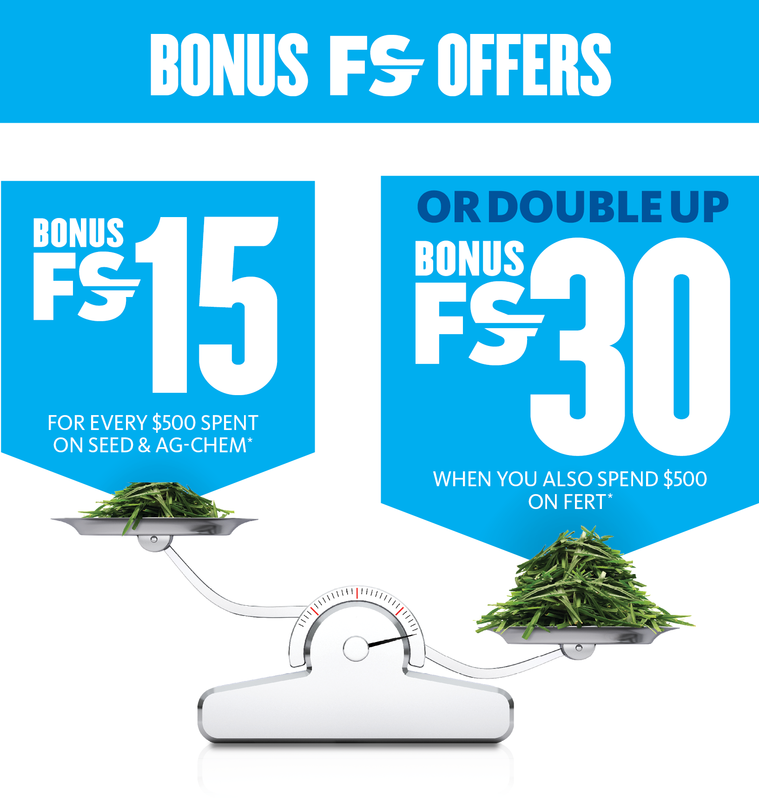 OR DOUBLE UP TO 30 Bonus Reward Dollars when you also spend $500 on fert in the	same period. To find out exactly how many Farm Source Rewards dollars you could earn. *Based on what an average farm size would generally spend on seed/agchem and fert. Offer only available to Fonterra suppliers. Productive pasture is key to a successful dairy farm so there’s much to consider when choosing seed: annuals, italians, hybrids, perennial, clover, chicory, plantains. We can offer a variety of seed options including ready-made pasture packs and custom mixing using our access to all the seed varieties and expertise from leading seed production companies; including Agriseeds, Agricom and PGG Wrightson Seeds, Seed Force and DLF Seeds. We’ll work with you to ensure you get the seed that meets your requirements. Pasture is New Zealand’s competitive advantage, and has never been more important for creating strong, sustainable and resilient farm systems than it is now. 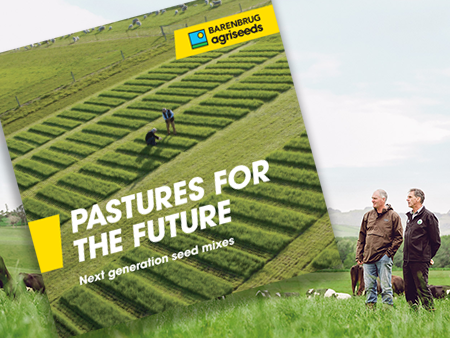 Barenbrug Agriseeds are continuing to innovate for the future to make sure you have the pastures and forages you need to farm sustainably and profitably. Together with Ballance Agri-Nutrients we can provide a unique mix of tailored advice, products and science to help with your fertiliser needs. We can help evaluate the condition of your pasture and correct any soil nutrient deficiencies. 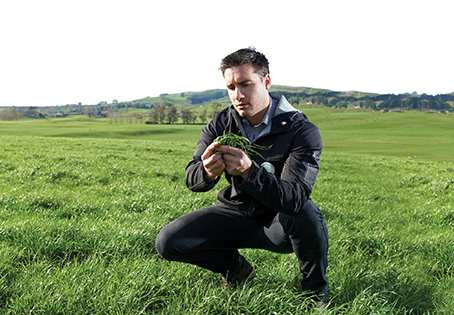 We can work with you to recommend pasture spraying rates and discuss the specific benefits of spraying pasture, particularly new pasture to promote better utilisation.